Previously on Once Upon a Time: Lacey. This week on Once Upon a Time, everyone has conflicting ideas about the fate of our favorite magical town. In Storybrooke, Regina begins work on her escape plan, but Greg and Tamara have other ideas. 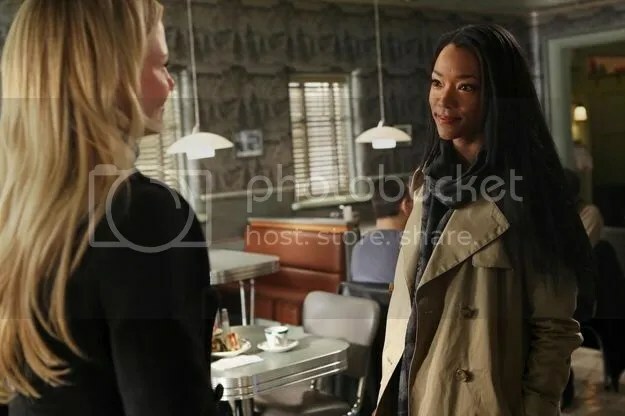 Meanwhile, Emma remains conflicted about leaving and instead focuses her energy on Tamara and “Operation Preying Mantis.” In the Enchanted Forest, we see more of Regina’s inner struggle to choose between good and evil. In the Enchanted Forest, Queen Regina is confused why people seem to hate her so much, even as she executes an entire village for refusing to give up the location of the “bandit” Snow White. Fed up with her incompetent minions, she decides to go after Snow herself. With Rumpelstiltskin’s help (and the price of cutting off trade with King George), she transforms into a peasant. The only catch is she doesn’t control the spell, nor can she use magic when it’s active. A disguised Regina comes across some villagers trying to burn and effigy of herself and tries to stop them, only to be blamed for it and sentenced to death. She is saved by none other than Snow White. A feverish Regina awakens to find herself hidden in the woods, tended to by her nemesis. As Snow cleans her wound, she tells of the time a stranger saved her from a charging horse and inspired her to be good. They head out and Regina uses the opportunity to inquire about Snow’s feelings, and is surprised to learn that Snow would forgive the Queen and be a family again if given the chance. This abruptly changes the moment they come across the slaughtered village. Regina pleads with Snow to remember the Queen who saved her from the horse – and gives herself away. She flees and returns to Rumpelstiltskin, prepared to embrace her title of the Evil Queen. 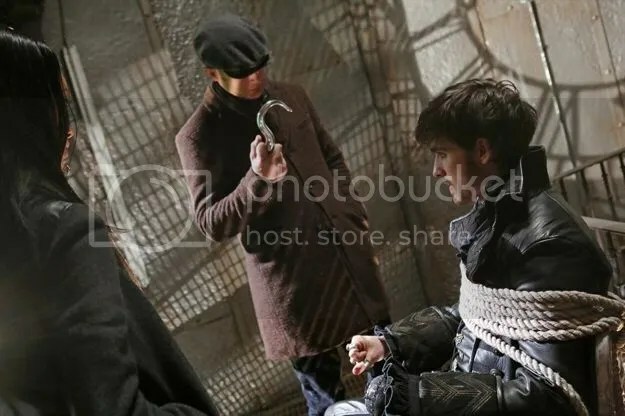 In Storybrooke, Tamara and Greg inform Hook that Rumpelstiltskin is very much alive, and offer him a deal: a way to kill magical creatures in exchange for his help in finding someone. Meanwhile, Snow and Charming decide that Regina’s options are to be left behind, or to return to the Enchanted Forest and live out her life in a cell. Overhearing this, Regina decides on a third option: escaping to the Enchanted Forest with Henry via stolen magic bean and then enacting a “failsafe” in the Curse that will destroy Storybrooke. She communicates this to Henry, but he has a problem with the “killing everyone in Storybrooke” part of the plan, so she wipes his memory. At Granny’s, Emma literately bumps into Tamara and discovers a fairy tale cheat sheet in her purse. This, combined with her superpower, leads her to believe that Tamara is the “she” August was trying to warn them about. Snow dismisses her fears, but Henry is all about “Operation Preying Mantis.” Emma explicitly states she’s not getting back together with his father, despite accidentally letting slip about the magic beans and the potential return to the Enchanted Forest. Emma and Henry break into Tamara’s room and are discovered by Neal, who gave Tamara the cheat sheet. They find nothing and Emma slinks away looking like a crazy ex. Hook goes to Regina and offers to help with the self-destruct plan, if it means Rumpelstiltskin will be collateral damage. Regina and Hook go to the vault under the library. Regina reclaims her mother’s bracer from Hook, then pushes him off a ledge (seriously, how has he not broken every bone in his body?) to deal with the tender mercies of a spectral Maleficent while she retrieves the failsafe from Snow’s glass coffin. Regina returns to the library to discover a pissed-off Hook and his new friends Greg and Tamara. She tries to use magic, but the bracer she reclaimed is suppressing her powers – powered by “science” and the “toughest machinery and metals known to man.” Elsewhere, Snow, Charming, and Leroy discover the bean crop has been burned to the ground. 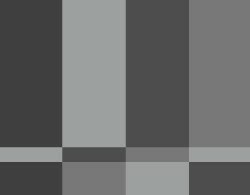 I understand that a lot of this show focuses on the battle of good vs. evil, and I applaud the fact that many of the characters operate in a “grey area,” the sometimes extreme flips between the two are a little tiring. Is it just me, or was Neal acting a little shady this episode? Considering he’s the mastermind con artist, it’s a little hard for me to believe that Tamara was capable of pulling one over on him, especially considering how collected she’s being over the “fairy tales are real” scenario. I’m curious to see how the “science vs. magic” scenario is going to develop. I wonder if Greg and Tamara’s science operates in a similar way to Dr.Whale/Frankenstein’s.